Tanks on the street in Egypt. On 3 July, Egypt’s first democratically elected president in six decades, Mohamed Morsi, was ousted in a military coup. One country that has had no shortage of military coups is Pakistan, which recently celebrated its first ever democratic transition from one civilian government to another. 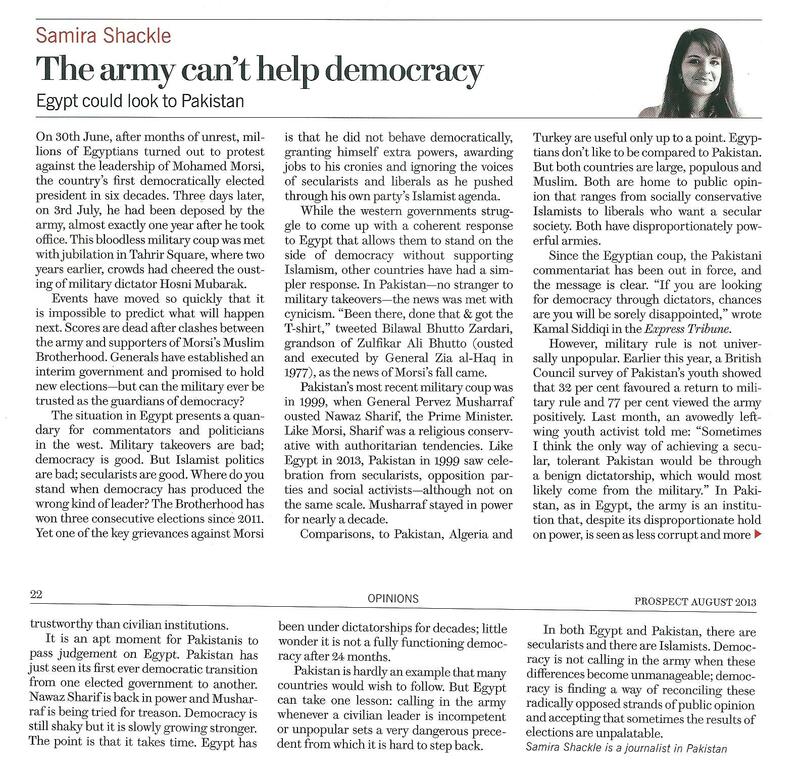 I wrote a piece for the August issue of Prospect magazine comparing the two countries and exploring what Egypt could learn from Pakistan. 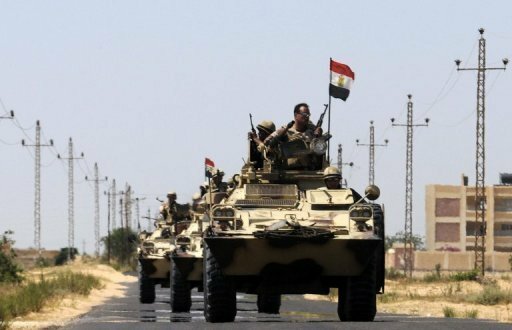 I also wrote several blogs on the situation in Egypt for Middle East Monitor, notably here, here, and here. I’m a regular contributor to Monocle radio, and have appeared on a few shows recently. On 24th June, I discussed the big stories in Pakistan that week (podcast here), including the massacre of foreign tourists in Gilgit, and the charges against Musharraf. On 2nd July, I appeared on the Asia Show to explain the energy crisis and Nawaz Sharif’s plans to tackle it (podcast here).